Starting pitching continues to be an area of concern for the Twins as the new front office rebuilds the worst team in baseball last season. The need for depth in the starting rotation could mean the Twins will use their No. 1 pick in the June 12 MLB draft to acquire a pitcher. 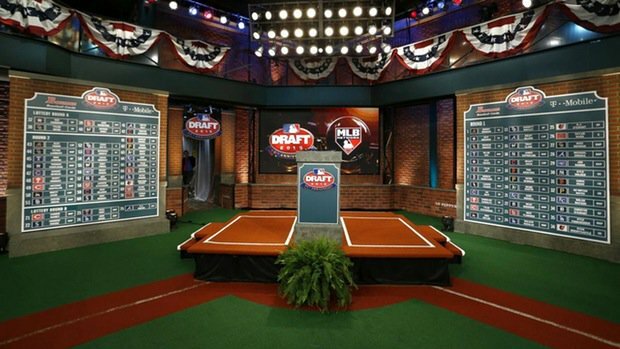 Several mock drafts agree the Twins need to add pitching. Baseball America predicts the Twins will draft righthanded pitcher Hunter Greene with the top pick. Greene, from Notre Dame High School in Sherman Oaks, Calif., would be the first righthanded high school pitcher selected No. 1, but he is also a highly touted power hitter and shortstop. Greene’s versatility would also make him a safe pick for the Twins. If does not pan out as a pitcher, he could transition to a position-player role. Scouting Baseball also selected Greene as the Twins’ No. 1 pick. MLB.com’s Mock Draft 1.0 predicted the Twins will draft a righthanded pitcher, although writers Jim Callis and Jonathan Mayo disagree on which one. Callis has the Twins picking University of Florida righty Alex Faedo, while Mayo expects Greene to be the top pick. Draft Site has the Twins picking Brendan McKay, a lefthanded pitcher from Louisville. Baseball Ranks considers J.B. Bukauskas, North Carolina’s righthanded ace, the top pitcher in college baseball and therefore the Twins’ best option for No. 1 pick. My MLB Draft and Hero Sports selected Vanderbilt outfielder Jeren Kendall as the Twins’ No. 1 pick. The Twins have used six of their 11 first-round draft picks since 2010 to select pitchers. However, last year’s No. 15 overall pick Alex Kirilloff is an outfielder and 2014 No. 5 overall pick Nick Gordon is an infielder. The last time the Twins drafted first was 2001 when they selected Joe Mauer. In 2012, they used the No. 2 overall pick to draft outfielder Byron Buxton.